Fayetteville Mayor Ed Johnson delivers his State of the City address. Photo/Ben Nelms. 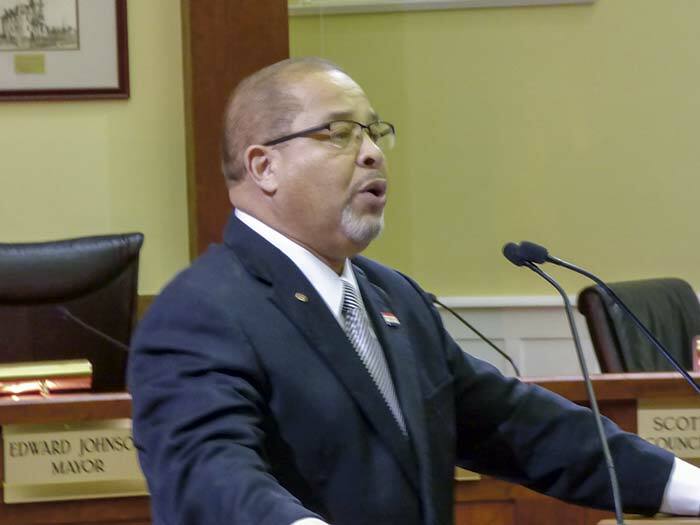 Mayor Ed Johnson in his annual State of the City address Feb. 7 provided a review of Fayetteville’s accomplishments during 2018 and a look-ahead to the city’s near-term future. Johnson said the city’s most exciting venture is the upcoming city center complex on Stonewall Avenue that will bring a new City Hall and provide a variety of park and recreational amenities for the community’s enjoyment. Melded with that view of tomorrow, said Johnson, was the revision of the Fayetteville Comprehensive Plan that had input from more than 550 citizens, who indicated they want a vibrant, walkable and engaging downtown area. “As we grow, we recognize that we must be intentional and proactive in managing the growth that is happening, whether we like (that growth) or not. We have committed ourselves to ensuring smart growth that gives rise to walkability and vibrancy that are key elements of our successful city,” Johnson said. In terms of smart growth, Johnson said the aim is to capitalize on the city’s assets and make Fayetteville a model city for progressive development. Johnson also looked back at wide-ranging accomplishments last year. Johnson said the city improved government efficiency in 2018 by launching new staff management and leadership training, by enhancing the cross-training program and by realigning salaries and benefits to a competitive level that will help Fayetteville attract and retain talented professionals to run city operations on a day-to-day basis. Continued improvement in customer service in all areas of city operations also occurred in 2018, he said. As 2018 came to a close, Johnson said Fayetteville had improved neighborhood and police relations by expanding the work of the relatively new Police C.A.R.E. (Community Activity, Resource and Education), and explained that community policing efforts were enhanced tremendously in 2018 through efforts such as dozens of public events, school visits and Neighborhood Watch meetings. “We improved neighborhoods by stepping up our social media and website engagement. We improved neighborhoods by hosting town hall meetings, conducting surveys and holding other forums to hear directly from the residents of neighborhoods about how we can improve the quality of life throughout our community,” said Johnson. Johnson noted that the State of the City address, for the first time, was being broadcast on Facebook Live. Citing other accomplishments in 2018, Johnson said the city added 12 new firefighter positions and five new police officer positions to the budget, and filled those positions, in order to ensure citizens’ safety and peace of mind. By the close of 2018, the city invested in transportation by repaving 2.4 miles of sorely-neglected residential streets, Johnson added. The city is also reaching out to the community for input in developing a Master Path Plan that will connect neighborhoods and help bring a new vibrancy to living, working and playing in our city, Johnson said, adding that the city also hired an engineering firm to study the roadway traffic flow to help determine future ways to alleviate congestion. Referencing other efforts in 2018, Johnson noted the groundbreaking for the expansion of Georgia Military College and the ongoing support for the Pinewood Forest mixed-use development on Veterans Parkway. Other projects either underway or newly completed include the Heartis Senior Living Center, the Hearthside senior development near downtown on Ga. Highway 54 West and the Cool Runnings headquarters on Ga. Highway 85 North. I do not live in Fayetteville but 7 miles south the impact of the traffic has made me do more of my shopping in Griffin and PTC and on line. I used to go to Fayetteville at least couple of times a week shopping and eating out but now maybe once a month. 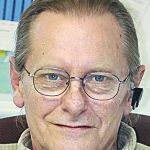 There are lots of folks from Harp Rd to Senoia that have shifted their shopping habits because of the hassle of getting through downtown and don’t get me started on Beauregard and Grady..
Dear Mayor, as a long time resident of Fayetteville, living about a half mile from the square, and as someone who voted for you, and other council members, I have to say your idea of growth is my idea of ruining my way of life. Your idea of growth seems designed to trap me in my neighborhood, and make any trips outside of it painful and time consuming. I live on Medford Drive and before the the roundabout at Grady and Beauregard was built, my exit onto Beauregard in the mornings was predicated on someone letting me out from Medford. Now, the traffic back up from Grady to 54 west is several lights long, so by all means lets add say at a conservative number 3 or 4 hundred cars in the vicinity of Grady and Beauregard. Grady is a cut through from 54 to 85, and to tell the truth, the light on 54 or 85 isn’t favorable to to the residents leaving my area, going in either direction. But hey, it’s a small price to pay (insert sarcasm here) to build the city. I don’t know where you live in relation to the city square, but your idea of growth is killing us. Your council seems intent on turning our 4 minute trips to a variety of grocery stores or restaurants into a long aggravating trip. My idea of growth isn’t a couple thousand apartments within walking distance of my house, and I find it hard to believe that in the city’s poll of residents that a significant number of us said let’s build a multitude of apartments adjacent to the square. Just my opinion….Randy Clokey, Medford Drive. Apartments are not the way to accomplish this.